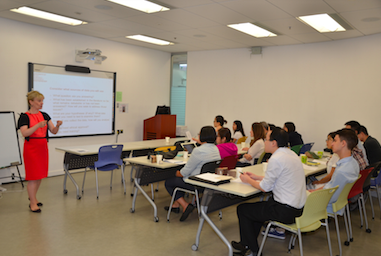 Professor Lisa Webley from the School of Law, University of Westminster, delivered an engaging seminar to faculty and research postgraduate students on 11 September 2015. In her talk titled "Research as Ethical Endeavour", she explained how ethical engagement and reflection can in fact improve the quality of one's research. She began her talk by discussing the potential role confusion when it comes to research as a lawyer and research as an academic. Unless one is doing theoretical work, she made the point that empirical research in law is the norm. She emphasised that academic researchers not only had obligations to research participants but also to the academic community and to "research" itself. Ethical reflection involved understanding our role in the research, acknowledging our standpoint and our influences on participants and third parties. Practical steps should be taken to minimise ethical concerns and familiarity with HKU's policies and procedures on research integrity is essential. Professor Webley is Professor of Empirical Legal Studies and Faculty Research Director at the University of Westminster. She is also Course Director and principal teacher in the Institute of Advanced Legal Studies' two-week intensive course on legal and empirical research methods. Her visit to the Faculty was supported by HKU's Research Integrity Funding Scheme 2014/15.